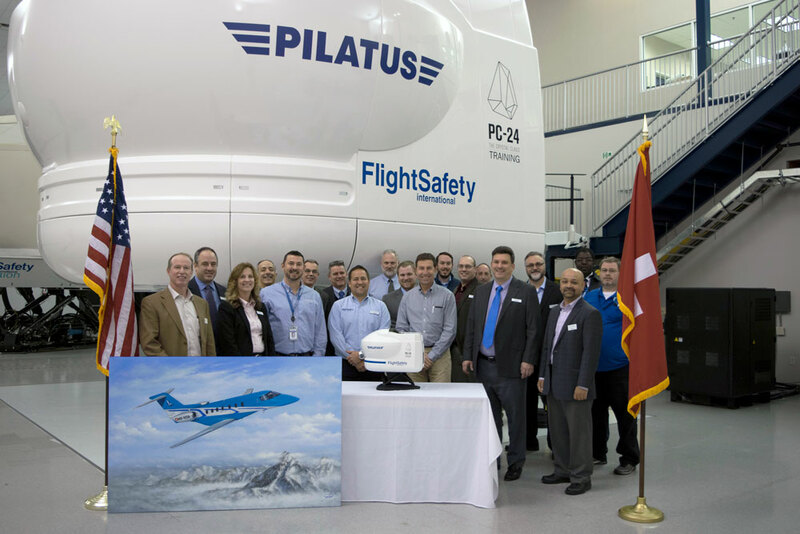 NEW YORK (February 12, 2018) –FlightSafety International and Pilatus announce that training for the new PC-24 Super Versatile Jet has begun at FlightSafety’s Learning Center in Dallas, Texas. The Pilatus PC-24 simulator was recently qualified and approved for training by the European Aviation Safety Agency. Qualification by the United States Federal Aviation Administration occurred in December 2017. “Receiving EASA and FAA qualification demonstrates our ability to design and manufacture simulators that replicate the flying characteristics of the aircraft they represent, and meet or exceed the stringent standards of aviation regulatory agencies around the world.” added Davenport. Pilots and maintenance technicians who operate and support the Pilatus PC-24 benefit from the highest level of fidelity, quality, and reliability this new FlightSafety FS1000 simulator provides. It is equipped with the latest advances in technology including the VITAL 1100 visual system, electric motion and control loading, and new Instructor Operating Station. FlightSafety’s two Learning Centers in Dallas are equipped with 25 full flight simulators. They are used to provide training for business and commercial aircraft manufactured by Airbus Helicopters, Bell Helicopter, Bombardier, Embraer, Dassault, Gulfstream, and Pilatus.